PRODUCTOS AUXILIARES	/	Hay 56 productos. BARNIZ ACRILICO TALENS BRILLO 75 ML. BARNIZ ACRILICO TALENS MATE 75 ML. BARNIZ CUADROS SATINADO TITAN 1 LT.
BARNIZ CUADROS SATINADO TITAN 250 ML. BARNIZ HOLANDES TITAN 1 LT.
BETUN DE JUDEA TITAN 1 L.
GOMA ARABIGA TITAN 100 ML. GOMA LACA TITAN 1 LT.
LIQUIDO ENMASCARADOR TITAN 100 ML. 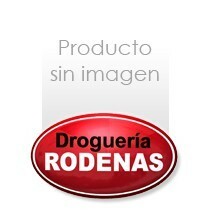 MEDIO PARA OLEO TITAN 100 ML. MEDIUM TITAN ARMONIA 100 ML.